My husband and I recently had a discussion/debate with a friend of ours who, on the subject of legislating compassion (or, more specifically, legislating in the name of compassion), pretty much said that without all of our elevated, civilized, moral compassion, we’d be “nothing more than animals.” While I’m a big proponent of compassion, I don’t think our morals necessarily make us more compassionate, and I think that there’s often as much compassion in non-action as there is in action, which is to say that sometimes not doing something is more compassionate and beneficial than blindly forging ahead (although, really, the best route is to combine the two with careful discernment). I also don’t think it’s a bad thing to try to be more like animals, to get in touch with our animal sides. After all, animals aren’t the ones destroying our environment and each other on a species-wide level; they aren’t the ones enslaving each other (except for the slavemaker ants, of course); they aren’t afflicted by the overwhelming greed and viciousness that plagues humanity. 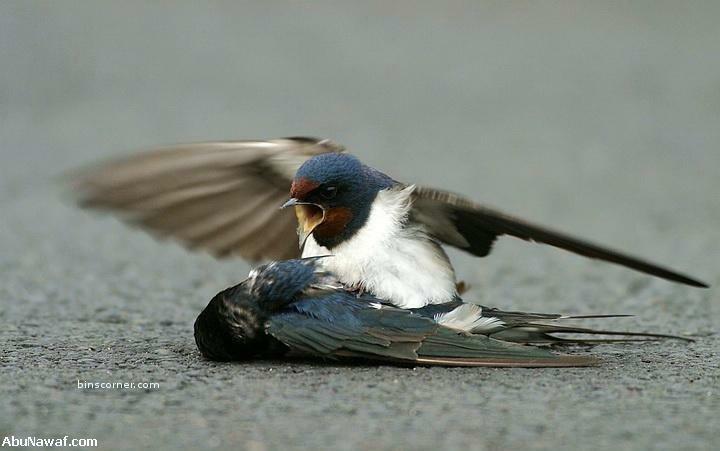 If animals are greedy, it’s on a limited, usually reasonable level; if they are violent, it’s for survival — not spite. Animals are the innocent ones. And, really, whether we want to admit it or not, we are animals — complex, astoundingly creative animals, but still animals. I’m not saying that humanity is the lowest of the low in terms of animal virtues, but I do think it’s pompous to assume we’re that much more morally elevated above the rest of the natural world just because we can build complex tools and think in terms of the imaginary and intangible. 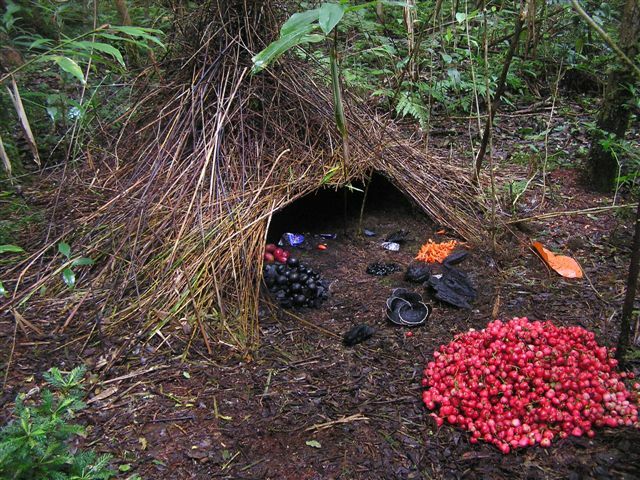 I think art, which is arguably a uniquely human construct (although it depends on how you define art and whether or not the female bowerbird’s appreciation of her male’s bower can be considered artistic appreciation), is great; I think technology can be great. But I also think that what makes (human) art great is that it expresses and seeks to explore our deepest animal impulses; the best art gets us in touch with our animal selves and analyzes it, rather than denying it. And technology is really just a complex result of our basic animal survival instincts. I think compassion is the greatest and most necessary quality a person could have, but I don’t like “morals” because they’re prescribed. It’s cold legislation rather than natural compassion, which comes from an organic and personal impulse. Compassion is simple and small and daily — not some elevated, authorized virtue. In its purest form, as in the animal world, compassion is unconscious and exhibited on an animal-to-animal basis. And while not all animals are compassionate in the way we define it, they’re not uncompassionate, either. As I’ve said above, they don’t hate; they aren’t (with few possible exceptions) unnecessarily cruel. The only thing I would add to Stevens’ argument is that we aren’t naturally alien — we’ve made ourselves so — and that we can get back to that wholeness and freedom of being as long as we’re willing to loosen the noose of our morals, let wordlessness stand in for language (not forever and always, but more so than it does) and forget our pompous attitudes about our own superiority. If we can let ourselves be smaller, more quiet and basic, we’ll be closer to and more a part of that unlimited god that Stevens describes. But I don’t harbor any illusions about doing away with law, society and technology and living like squirrels or bears. As our friend correctly said during our conversation, “The change has happened. We can’t go back.” I just think that we’d more benefit ourselves and the rest of the world if we tried to emulate the plant and animal life around us a little more, rather than trying (in vain) to conquer nature both beyond and within ourselves. I think we’d all be better-off without legislating and politicizing compassion — that is, deciding in black-and-white terms who is deserving of understanding and compassion and who isn’t and using that to justify political action. Because if we select an object for compassion, we’re necessarily denying compassion to something else. If we bring compassion down from the moral pedestal, stopped flinging it at other people like a weapon, and considered it on a personal, daily level (asking ourselves if we’re being indiscriminately compassionate enough and how we can be more compassionate, especially to the people whom we feel least deserve it), then the world really would be a better place. It’ll build on its own, but we have to build from the bottom, beginning with ourselves. I think I should also say that my friend, if he were to read this, might not actually disagree with me. Sometimes when the three of us (myself, my husband and our friend) sit in a car together for too long, we start to disagree for the sake of disagreement — either because we’re playing the devil’s advocate and testing each others’ convictions or because we just want to get the other’s goat — which is how the whole compassion-and-animals discussion began in the first place. But it makes for a good blog post, I think. This is Part II of my conversation with a friend about Taoism and Christ. He suggested that one has reached true emptiness when one gives oneself so fully to a greater cause that the self is forgotten. Still, if one were to [sacrifice one’s life], one has to first ask the question: Is it better for me to sacrifice myself to make a statement, or would I better serve my cause by living? And, of course, you have to think long and hard about whether your cause is really the right one. For Christ, from the Christian perspective, that question is easy to answer — as the Son of God, yes, his cause was the Ultimate Good, and his human life was much less important than the salvation of humankind […] But for regular people, I think it’s good to entertain the idea that what one perceives as a Total Good usually contains some potential for Evil/Bad and that there is often some potential for Good in a Bad/Evil idea or situation (enter the Taijitu, or Yin/Yang symbol), and that it’s almost impossible for people to tell which is best because we’re so near-sighted — one can’t really see the ultimate end of any action. Which is why it’s best to wait and see, or to tread lightly in action. Or, to put it in a Christian perspective, it’s not possible for a regular person to completely understand or foresee God’s plan, so forcing an action in either direction could be a mistake because what a person sees as an Evil might be, from God’s perspective, an avenue to a true Good. So I think that getting rid of the ego is ideal, but I think that also involves getting rid of one’s presumptions about what’s right/useful and wrong/useless in a given situation. And that, depending on one’s perspective, can either make life really difficult (if one is always trying to sort out Good from Bad, considering all the infinite variables and roads) or really simple (if one decides to let go of trying to be overly moral [or valiant] and just live life, taking each moment as it comes). I tend to do the former, spending unnecessary amounts of time trying to figure out where I stand on complex issues, but I’m trying to teach myself to do the latter and am slowly coming along. I do think it’s easier and healthier to just let go, to a certain degree, to be more like a tree than a mule. The ultimate goal of Taoism is to be natural — that is, not to get caught up in petty human struggle and instead just be compassionate and simple and humble (the three Taoist treasures, which can be found in the Tao Te Ching in Ch. 67). Again, I think Christ is a great example of a Taoist sage, especially when considering lines from Ch. 67: “From mercy comes courage; from economy comes generosity; / From humility comes leadership.” He seems (to me, at least) much less preoccupied with law and sin (though he was concerned with those things, of course) than teaching and exhibiting compassion, humility and simplicity. I’m open to further discussion, so feel free to post comments below.